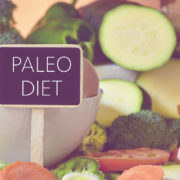 The paleo diet can be thought of as more of a “template”, rather than a strict set of rules. At the very least, eliminating added sugars, processed, and refined foods are a great goal, even if you decide not to “go paleo”. Add blended wet ingredients to dry ingredients and stir until combined. Spoon batter into muffin tins, ¾ full. Bake for 15-18 minutes or until golden. Are you ready to discover the benefits of healthy detoxing for yourself? 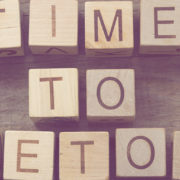 Click here to learn more about my upcoming Detox Program http://hotchixshotsex.com/summer-detox-program/. It starts on July 30, 2018. What questions or concerns do you have about participating in a detox? Before you try something new, like a detox, it’s normal to feel hesitant. I want to hear from you. Hit “reply” or email me at irene@hotchixshotsex.com. I read every email that comes into my inbox and I promise to email you back personally. Thanks to much of what we hear in the media, detoxing has earned a reputation for being unhealthy and even unsafe. When you hear the word “detox”, so you immediately think of all-liquid diets, expensive supplements and short-term deprivation for short-term gains? The truth is, a detox doesn’t have to involve any of the above—and if you detox in a healthy, supportive manner, you can achieve lasting results in weight loss, energy gain, and full-body health. The following are four myths you may have heard about detoxing. Understandably, these myths may cause you to be hesitant to try a detox. While you might have to eliminate certain foods that you enjoy, detoxing isn’t all about eating lettuce with a drizzle of olive oil. There are many delicious recipes that can be prepared using healthy ingredients that not only taste amazing but nourish and detox your body. While you might end up consuming fewer calories while following a detox, you shouldn’t feel deprived or hungry. Going on an extremely low-calorie diet can actually disrupt your hormones and metabolism, making your body less efficient in the long run. Everyone’s caloric needs are different, so a detox should never dictate how many calories you consume. By consuming whole foods that provide you with the right nutrients, you help detox your body while feeling satisfied. My participants are always amazed that they never feel hungry during my detoxes. Myth #4: Detoxes are just a way for people to make money on expensive supplements. Supplements involved in a detox should be just that, a supplementary part of the program, not the primary source of your nutrition. While on a detox, you get most of your vitamins and minerals from whole-food sources. Supplements may be recommended to help your body make the most of the nutrients it receives from these foods. For example, by including probiotics in your diet, you help your body produce vitamins, absorb minerals and remove toxins from the body. Aside from the benefits discussed above, detoxing is an incredibly effective way to identify if you have any food sensitivities, balance your hormones, and establish healthy habits for the long term. I’ve worked with detox participants who not only have lost weight and kept it off but who have also seen their energy level skyrocket, their skin clears up and even their allergies disappear. Click here to learn more about my upcoming Detox Program. It starts on July 30, 2018. Register by July 25 to save $50. Oh, the words “blood sugar”. This fluctuation is the natural balance between things that increase it; and things that decrease it. When you eat food with sugars or starches (“carbs”), then your digestive system absorbs sugar into your blood. When carbs are ingested and broken down into simple sugars, your body keeps blood sugar levels stable by secreting insulin. Insulin allows excess sugar to get it out of your bloodstream and into your muscle cells and other tissues for energy. When blood sugar is too low, this is referred to as “hypoglycemia”. 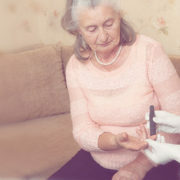 When blood sugar is too high, it is referred to as hyperglycemia. Prolonged periods of elevated blood sugar levels (chronic hyperglycemia) can lead to “insulin resistance”. http://hotchixshotsex.com/wp-content/uploads/2018/07/Blood-Sugar-Stable.jpg 512 1024 Irene Hogan http://hotchixshotsex.com/wp-content/uploads/2015/10/IreneHogan_HotCHIXS_transparent-300x232.png Irene Hogan2018-07-13 17:00:082018-12-01 10:59:12How Do I Keep My Blood Sugar Stable? When we think of “vitamins”, we know they’re super-important for health. Your skin makes vitamin D when it’s exposed to the sun; that’s why it’s referred to as the “sunshine vitamin”. How much vitamin D your skin makes depends on many things. Location, season, clouds, clothing, all affect the amount of vitamin D your skin can produce from the sun. One standard recommendation is to get about 5–30 minutes of sun exposure between 10:00 a.m. – 3:00 p.m. to the face, arms, legs, or back. This should be done without sunscreen, at least twice a week. Of course, we should always avoid sunburns and of course in some locations (and seasons of the year) it’s not easy to get sun exposure. 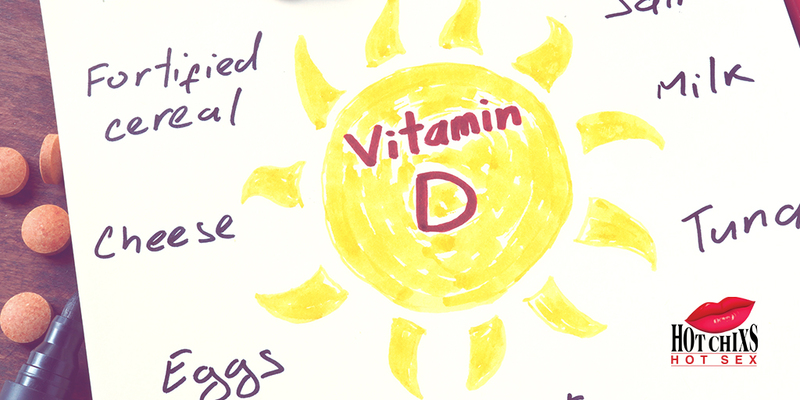 So, how can we get enough vitamin D in other ways? Because vitamin D is fat-soluble, you can increase absorption of it from your food if you eat it with some fat (healthy fat, of course). Between sun exposure and food, it still may be difficult to get even the minimum of 400 IU of vitamin D each day; this is why vitamin D supplements are quite popular. 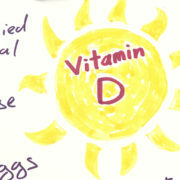 I’ve given you some ideas about how you can get the minimum 400-600 IU of vitamin D daily. http://hotchixshotsex.com/wp-content/uploads/2018/07/Blog-Post1024x512jul6.jpg 512 1024 Irene Hogan http://hotchixshotsex.com/wp-content/uploads/2015/10/IreneHogan_HotCHIXS_transparent-300x232.png Irene Hogan2018-07-06 17:00:122018-12-01 11:00:55How Can I Get Enough Vitamin D?